This written notice serves to inform you that your personal data is being processed by or on behalf of GSC. For the purposes of this written notice, the terms “personal data” and “processing” shall have the meaning assigned to them in the Personal Data Protection Act 2010 (hereinafter referred to as the “PDPA”). f) your curriculum vitae or resume when you register your interest in having a career in GSC and/or its relevant subsidiary/subsidiaries. g) information given voluntarily by you during any on-ground promotions or digital activities, tie-ups, contests, etc. p) Any other purposes relating or incidental to any of the above. k) provide feedback to GSC (for example via GSC’s website or in hard copy). Other than the personal data obtained from you directly as stated above, GSC may also obtain your personal data from third parties which GSC deals with or are connected with you, and from such other sources where you have given your consent for the disclosure of your personal data and/or where otherwise lawfully permitted. GSC may refuse to comply with your data access request under the circumstances specified in the PDPA and if GSC does so, GSC will inform you of its refusal and the reason(s) for its refusal. a) Third party service provider(s) for the provision ofadministrative, communications, payment, event management, security, information technology (IT), data processing or other services to GSC. e) Such other authorities, bodies or parties when required by law. Your Personal Data is collected and processed to provide you with GSC services and to facilitate the Purposes pursuant to your request. Such recipients of your Personal Data are contractually prohibited from using Personal Data for any purpose other than for the purpose GSC specifies. (a) Unless otherwise specified, it is obligatory for you to supply GSC with your personal data and your failure to do so will result in GSC being unable to process your personal data for any of the Purposes. (b) You will take reasonable steps to ensure that your personal data is accurate, complete, not misleading and kept up-to-date (Section 11 of PDPA). GSC, when processing your personal data, takes practical steps to protect your personal data from any loss, misuse, modification, unauthorized or accidental access or disclosure, alteration or destruction including but not limited to the use of procedural and technical safeguards such as encryption, “firewalls” and secure socket layers. If you are aware of any security breach, please let us know as soon as possible. However, “perfect security” does not exist on the internet, so GSC does not give an absolute assurance that your personal data that you provide to GSC will be secure at all times, and GSC will not be responsible for any event arising from unauthorised access to or theft of your personal data. GSC will not be held responsible for events arising from third parties gaining unauthorised access to or third parties’ theft of your personal data. 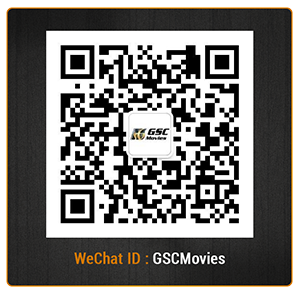 The GSC website and its related services are not directed at persons under 18 years of age. If you are under 18 years of age, you are required to obtain your parent/guardian’s permission before you provide your personal data to GSCM and/or its related companies. GSC’s web server automatically collects information on your domain type, browser used and your IP address for statistical purposes only, which will be used to improve the content of the GSC Website or GSC Mobile Application and not sold to other organizations for any purpose. As with most other websites, GSC collects and uses the data contained in log files. The information in the log files include your IP (internet protocol) address, your ISP (internet service provider), the browser you used to visit the GSC’s Website, your screen resolutions and number of colors, the time you visited the Website and which pages you have visited throughout the GSC’s Website. Your Personal Data may be transferred to another country as part of the processing of Personal Data. The jurisdictions in which the Personal Data or information is processed may or may not have laws to regulate the privacy of personal data, however, whenever your Personal Data is transferred by GSC and/or GSC third party service providers, GSC will use its best endeavor to ensure that your Personal Data is processed in accordance with the terms and conditions of this Policy.